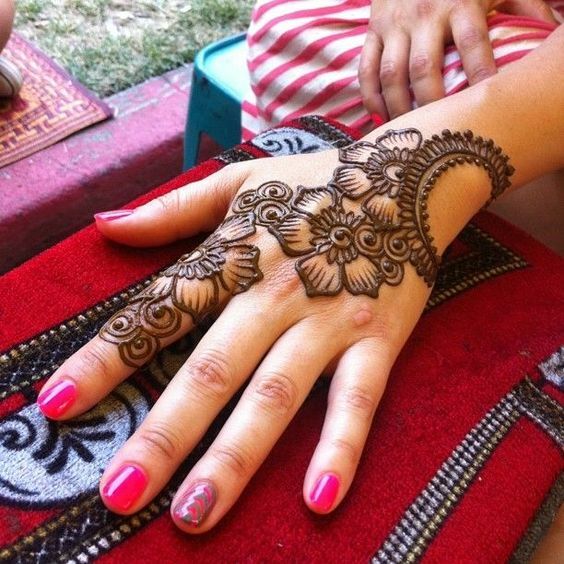 If you follow our blog regularly you would know our fascination with henna art. 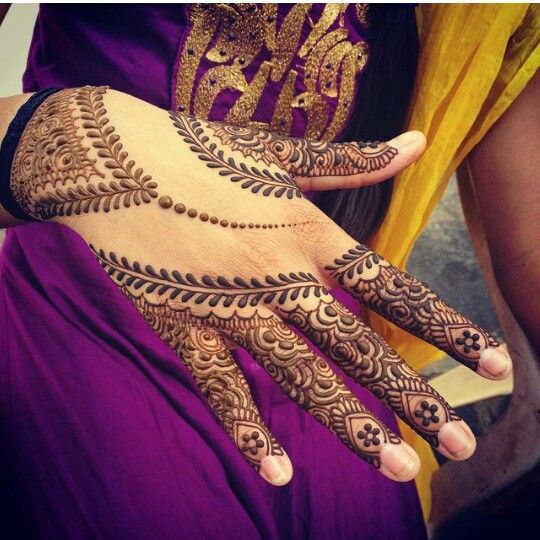 Mehandi is very popular in indian culture and is mostly applied on marriages and occasions like diwali , karwachauth and eid. 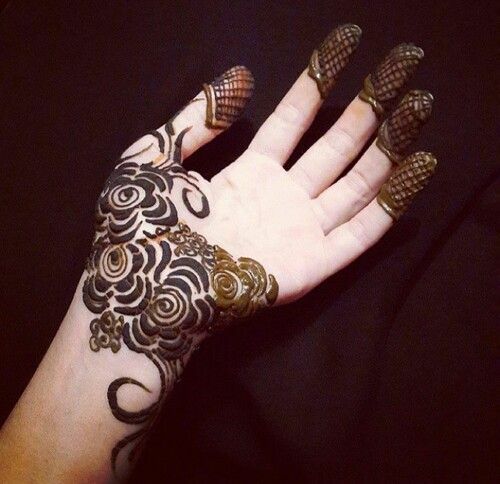 The holy month of Ramazan is going to end today (or tomorrow depending on the moon) and I just cant wait to get the hena cone in my hand and start applying a simple but unique design on my hands. 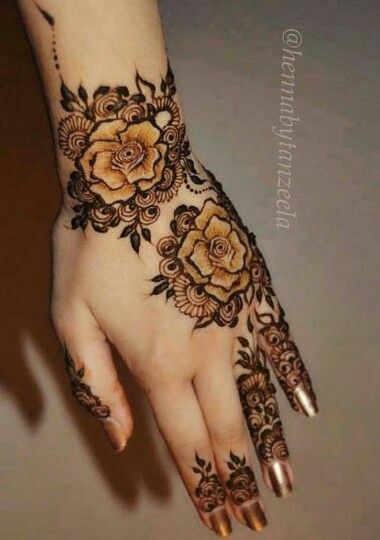 Eid for girls is close to incomplete without mehndi art on hands and at my place my sisters and me get over excited and go into eid mode right from shab-e-qadr planning our whole eid look. 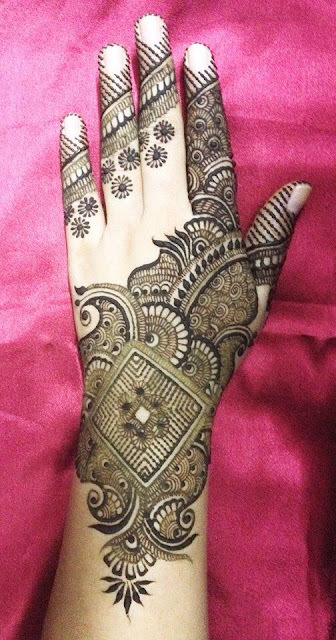 I have already finalized my dress, my make up and hair style and lastly today I sat on my laptop to decide which mehndi design I will be applying. I loved a lot of designs and it was a tough task to zero down on two designs for two hands. 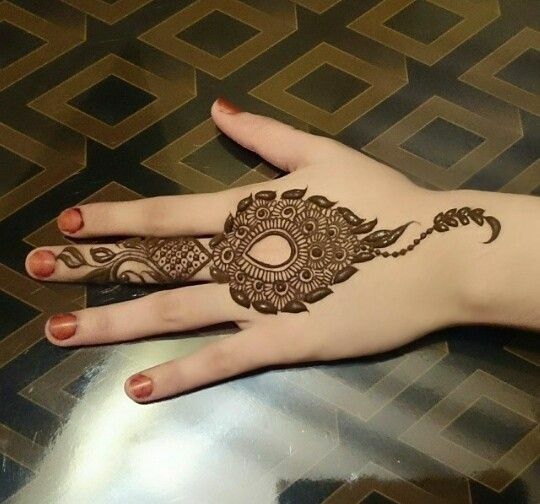 Here I present to you 15 Mehndi Designs for Eid from which you can take inspiration. This design can we worn both at the back and front and is super delicate and stylish. This is more on the simpler side so goes well for a occasion like eid. 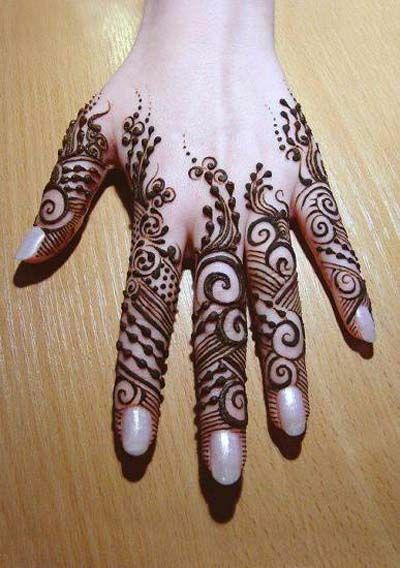 Flral mehndi designs are a hit for eid and this designs uses lots of lines to form a pretty srt. This isnt very complicated and ideal for beginners. If you love roses this design is for you. 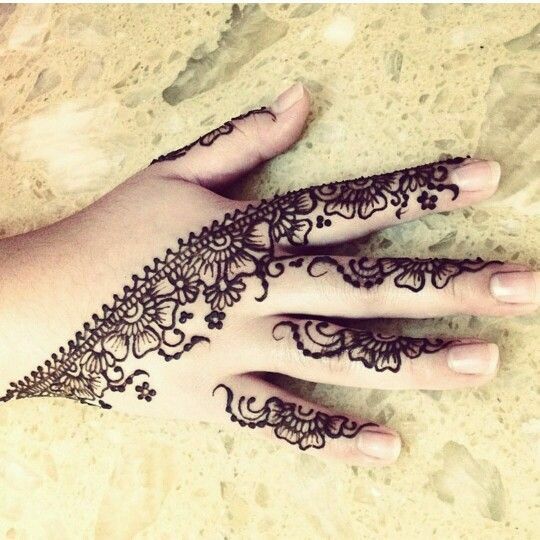 The design gets a more delicate look from its jaali or mesh work on fingers. If you are wearing a very heavy anarkali or gown this eid try a simple mehndi design to balance out things. This fingers only design is unique and trendy. 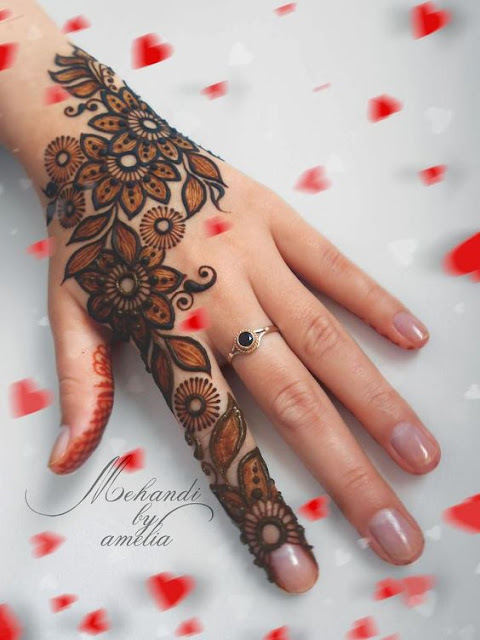 Another stunning floral mehndi design which uses lot of lines, swirls and dots. 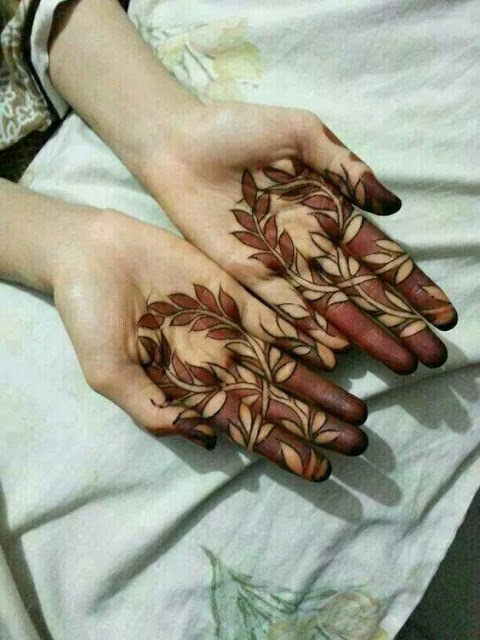 If you want something really different then try this leaf only mehendi design. This is a very artsy design which is catchy yet simple. The outlines are dark but the filling is very light almost reflecting the natural skin colour.